The Carriage House The Carriage House Motel, Restaurant in Barryville, NY was built in the early 1900's and is recognized as a designated landmark. It has a formal dining room as well as a grill room/bar. The Heron Back deck overlooks the Delaware River. Good buzz, terrific food and run by nice folks. Corner Piazza Enjoy a wood fired brick oven pizza out in the open air. Pizza the way it should be! Henning's Local The emphasis is on locally grown ingredients, flavors, both simple and complex, create a pleasant culinary experience with beautifully presented, and generous dishes. The Laundrette Wood fired sourdough pizza, inventive salads, delicious cocktails and so much more. All ingredients are local and organic wherever possible. Kittatinny Canoes provides outdoor activities for family adventure vacations: whitewater rafting, canoe / kayak rentals, tubing and rafting down the Delaware River, and has added dual racing ziplines to their roster of adventurous outdoor pursuits. Ski Big Bear is only about ten miles from Barryville. Landers River Trips for canoe and kayak rentals, river rafting and tubing. The Lodge at Woodloch Spend a luxurious day at the spa, voted by Travel & Leisure as the #3 Destination Spa in the world. Emerald Ballroom Come enjoy live music, tons of fun, and a variety of events. Narrowsburg Fine Wines & Spirits A number of local wines at this cute little wine shop. 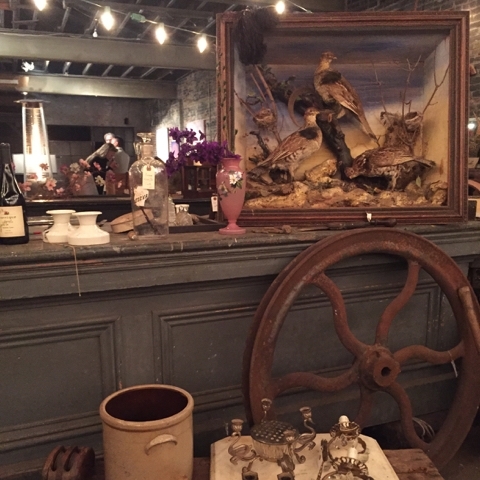 River Gallery offers an alluring collection of artwork, antiques, gifts, home accessories and gorgeous furnishings. River Market Charming general store & market, Barryville. A good spot for a quick lunch and some ice cream! Mayer Wasner Beautiful clothing boutique with unique pieces. Nest Serves up a tempting array of clothing, jewelry and home accessories. Maison Bergogne A treasure trove of eclectic objets and divine discoveries. One Grand Books A curated bookstore in which celebrated thinkers, writers, artists, and other creative minds share the ten books they’d take to their metaphorical desert island.